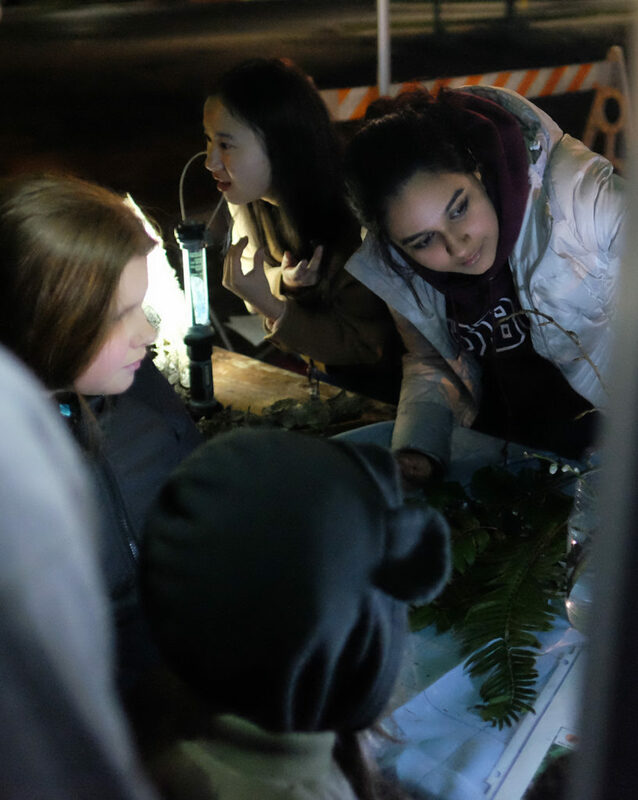 Night Quest is an annual event, held by Metro Vancouver, in Pacific Spirit Park, to experience nature at night. Two kilo meters of trails are lantern lit for exploration. 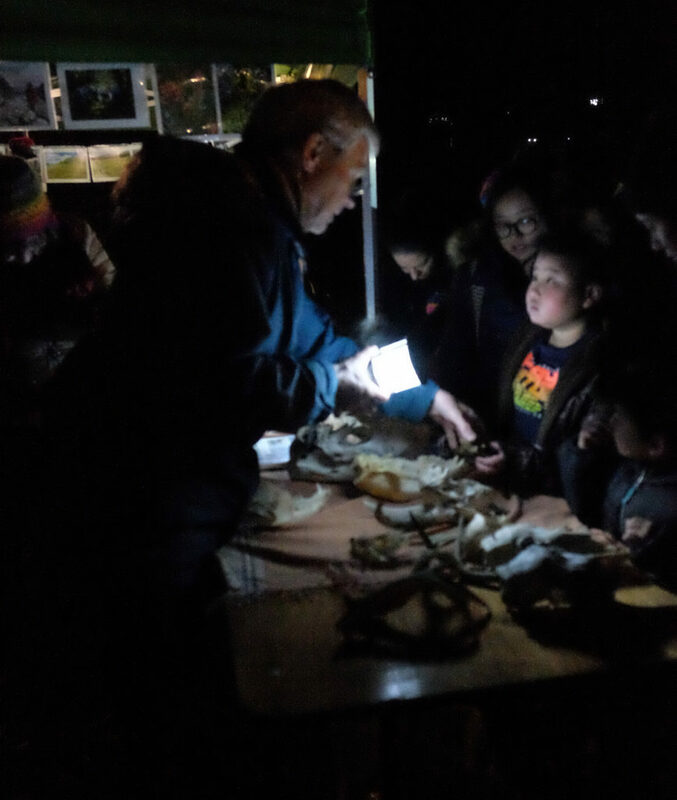 This year’s event was held on Saturday, March 23rd. Clear weather brought out the crowds – estimated at 4,000. 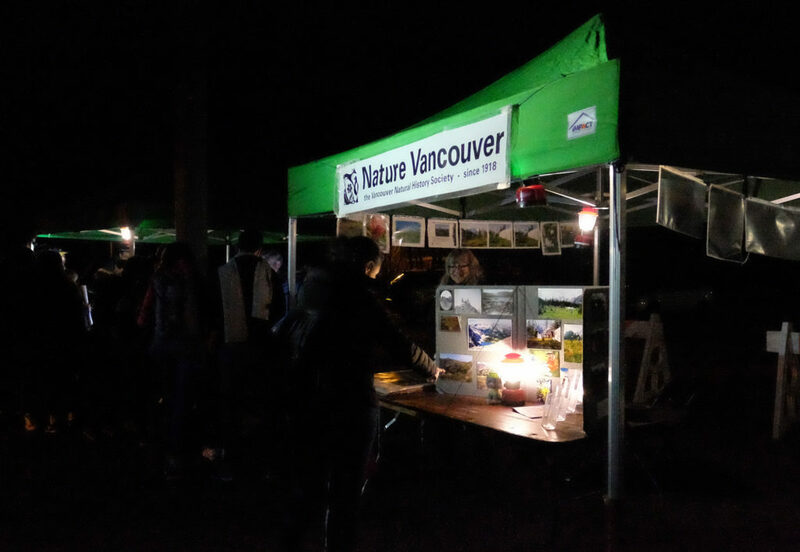 Nature Vancouver has been involved with Night Quest since 2015. 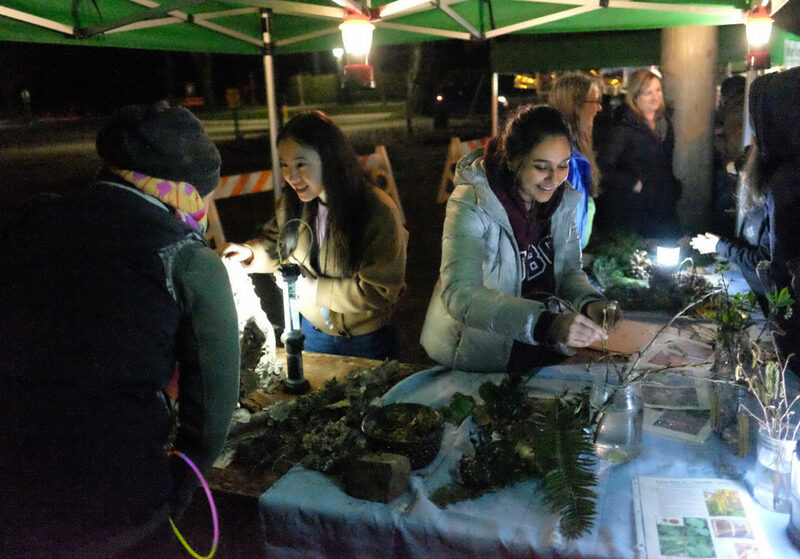 Volunteers from the Outreach Committee set up a couple of display tables of information about Nature Vancouver as well as items of interest such as botanical specimens; animal skins and skulls, and other items depicting nature. This year the stuffed skunk and animal skulls were a big hit with the children. They asked many questions of the volunteers. Our second table had photos of camps, and that was also popular with visitors. In fact, we were busy from just after 6 p.m. to 9:30 p.m. with no let up. Very rewarding for our N.V. volunteers. What delighted me was that there were so many families that came to our table who did not have English as their first language. Several parents wanted to repeat “skunk”, and one said “you are helping me with my English”. The children were so engaged and delightful. It was a great evening.